It’s important to educate students with High-Functioning Autism (HFA) and Asperger’s (AS) in a way that addresses their individual differences and needs (no two of these “special needs” children are alike). 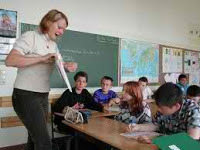 Preferably, the educational process involves the individually-planned and systematically-monitored arrangement of teaching methods, adapted equipment and materials, and accessible settings. Most kids with HFA and AS are very bright, and may even excel academically in one or more subjects. However, they often need protection from other students who bully or take advantage of them. Kids on the autism spectrum may not know which students to avoid (e.g., if an HFA youngster makes a friend, that "friend" may make him do assignments for him, break rules, take the blame, and otherwise put the HFA youngster in jeopardy). Young people on the autism spectrum usually don’t understand the "hidden rules" of school, but take all rules at face value. For example, they may memorize the rule (e.g., "don't cuss at school”), yet don't realize that most students cuss, but you don't use cuss words in front of school staff. These “special needs” kids also don’t understand "hidden social agendas." If an HFA or AS child participates on a high school debate team that meets in a sandwich shop, he comes prepared like a little professor to talk about the subject at hand, but doesn’t understand that the other students are there to socialize as well as practice for the team. For this reason, kids on the spectrum require individualized training in social and emotional competency. There are many promising teaching techniques that can be used. On the elementary school level, some educators are using "social stories" with special cartoons illustrated with "emo faces" to help HFA and AS kids recognize facial expressions. Acting classes also help these children better understand emotional reactions. Academics may be "watered down" in a special ed situation. Kids on the spectrum don’t do well with emotionally disturbed kids who are often streetwise and aggressive. If these two groups are together in the classroom, there is the risk of producing a combination of the perfect victim and perfect victimizer. Kids with HFA and AS often gain more knowledge about social interactions and how the "normal" world operates in a mainstream classroom. Sometimes a youngster on the autism spectrum may start out in a special ed classroom and gradually transition to a mainstream one. This usually has to be done slowly, and takes an average of two months to two years. It may begin with just a half-hour at a time in the regular classroom for elementary school students, and perhaps an hour at a time in the student's strongest subject on the high school level. Some experts recommend seating the HFA or AS child next to a successful student who can help him or her with organization and provide class notes, when necessary. In general, HFA and AS students do better in classrooms that are predictable and structured with as few transitions as possible. Teaching with an emphasis on visual presentation plays to the child's strength of visual acuity. During "unstructured" periods (e.g., lunch, physical education, recess, and passing to classes), the “special needs” child may need certain accommodations. These interventions are designed to help students on the autism spectrum achieve a higher level of personal self-reliance and achievement in school, which may not happen if they were not given the classroom solutions listed above.